I woke up craving those cream cheese danishes. You know the ones that are in the wrapper and are all gooey and loaded with fat and calories. Aahhh, yum yum and yum. Well in my attempt to eat cleaner and it being below zero temperatures and not wanting to leave the house, I needed to find a recipe to curve this craving. 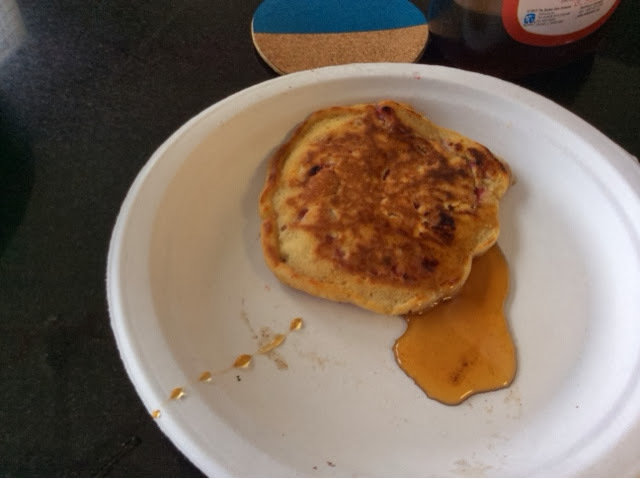 I came up with these delicious pancakes. I used a basic pancake recipe and then folded in 2 ounces of cream cheese and about a 1/4 cup of chopped up strawberries. They made 12 small pancakes. I ate about 8 of them. No kidding they were really that good. 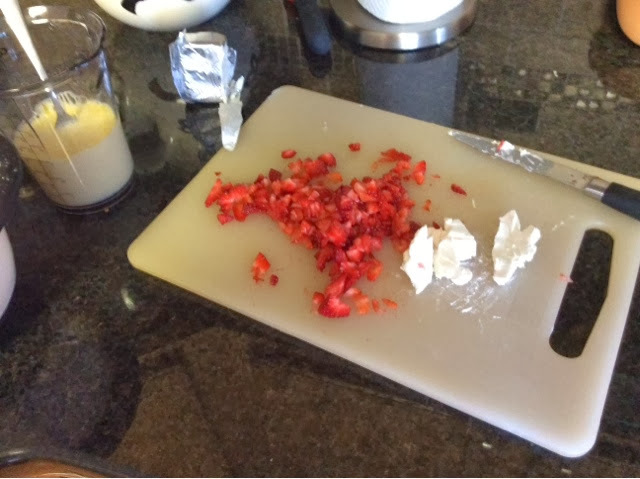 Below are the pictures and details of the recipe. Mix all the wet ingredients and add in mixed dry ingredients. Then fold in strawberries and cream cheese. I used lots of butter to oil up the skillet and cooked until they were brown on both sides. That's it. Not as delicious as the prepackaged gooey danishes but, a good healthier substitute.